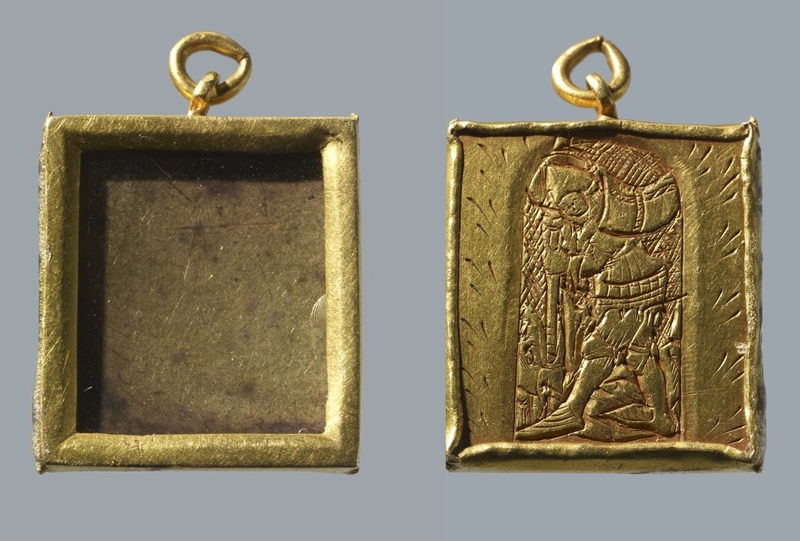 It has been few months already I am in to finding a making medieval wearable jewellery reliquaries. This one with a Saint George killing the dragon was made for a commission order. It is a tiny piece made in gold plated silver with a rock crystal window - so the stored a precious item always would be visible. 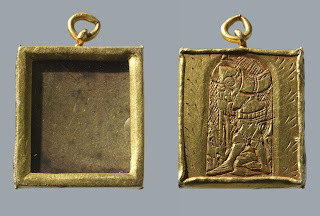 The original piece is from the British Museum and the catalouge description says: "Gold reliquary pendant of rectangular shape, engraved with a standing figure of St. George killing the dragon within an arch on one side; on the other is a piece of crystal behind which it is likely that a piece of textile was shown." 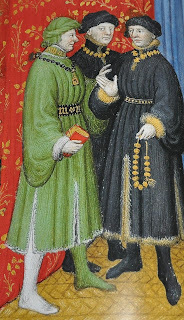 You can wear in on a chain, but there is also one nice example from 15th century of a very similar looking item on a black bead ( jet beads?) necklace. Geneva, BGE, MS fr.165, fol.7; Paris, ca.1414. After van Buren 2011, p. 131, F82. van Buren, Anna H.: Illuminating fashion. 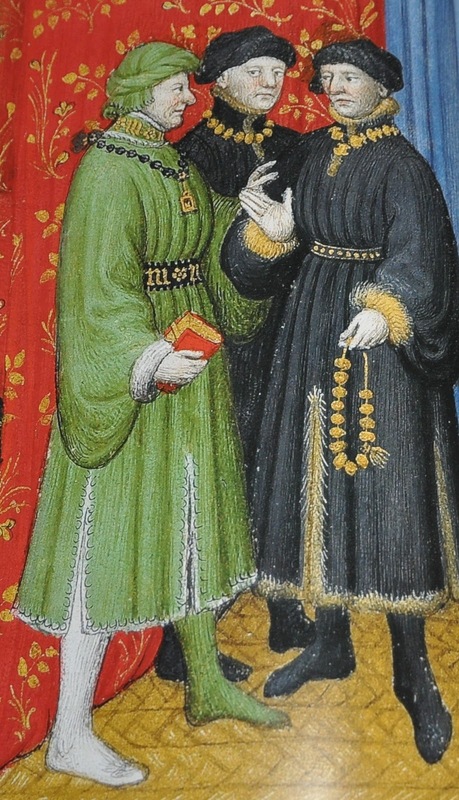 Dress in Art of Medieval France and the Netherlands, 1325-1515. New York & London 2011, p. 131, F82.